Explorer is one of the most used programs on the computer and we often start it to find files, documents and photos several times a day. Have you ever used your PC when you didn’t use Explorer? 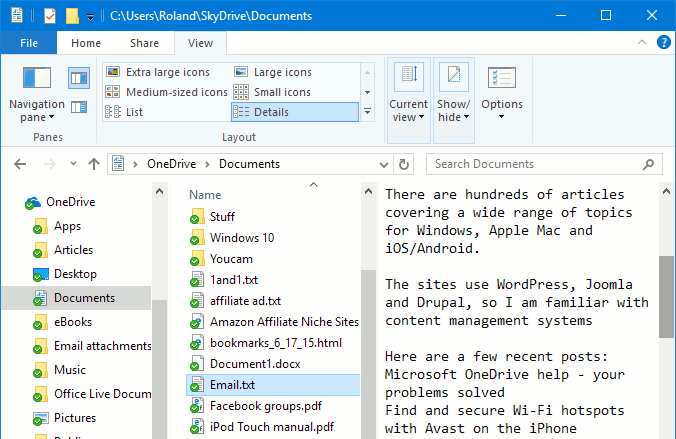 This built in tool provides many ways to view the files on the disk and choosing the right view can make it easier to browse files and find the ones you want. Are you using the best view for photos, documents or music? 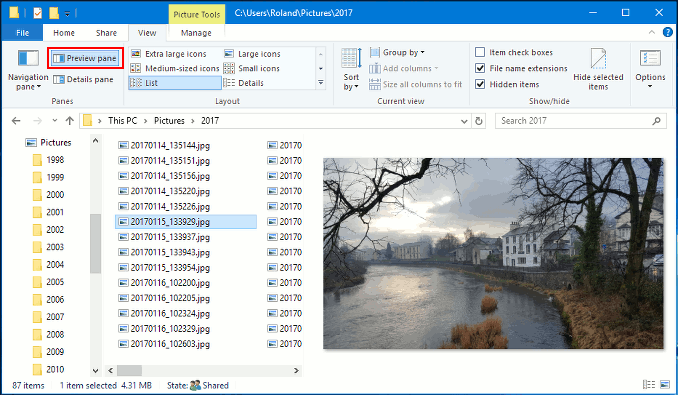 Let’s take a look at some Explorer views and a free utility that makes browsing and viewing files even easier. A great way to browse folders of photos is to use Extra large icons view on the View tab of the Explorer ribbon toolbar. 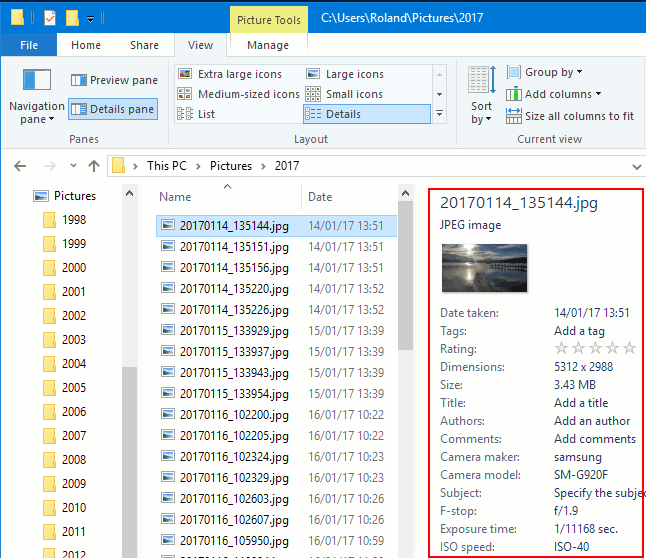 This shows thumbnail images of photos and it makes it easy to see the contents of each file. Maximise the Explorer window so you can see more thumbnails. 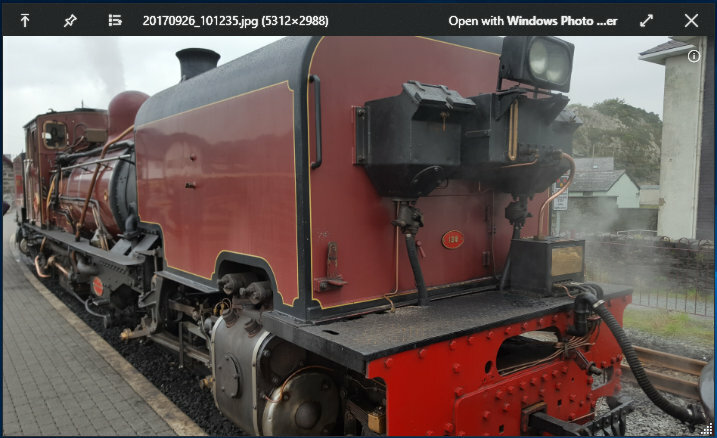 The Large icons view shrinks the thumbnails so more fit in the window, although it is harder to see what is in each photo. The large preview on the right makes it easier to see photos and when the Explorer window is full screen, the previews can be very large. There are three panes – the folder list on the left, the file list in the middle and the preview on the right. Let the mouse hover over the boundary between two panes and if you get it just right, it turns into a double headed arrow. Click and drag the mouse left or right to resize the panes. The preview pane in Explorer can show some other file types and it is not limited to photos. For example, if a text file is selected, the contents of the file is displayed in the preview pane and you can scroll up and down and read the contents. The range of files that can be displayed by Explorer’s preview pane is very limited and PDFs for example, do not show previews, but we will shortly see the solution to that. Some types of files, such as photographs and music, contain information hidden within the file called metadata. Select Details pane on the View tab in Explorer and the metadata can be seen when a file is selected. 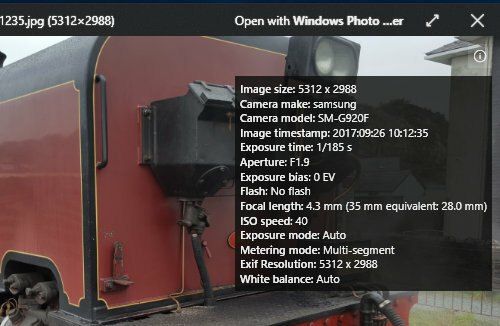 If a photo is selected, it shows the date taken, dimensions, file size, title, camera maker, F-stop, exposure, ISO speed and many more camera settings. This information can be very useful for photographers. 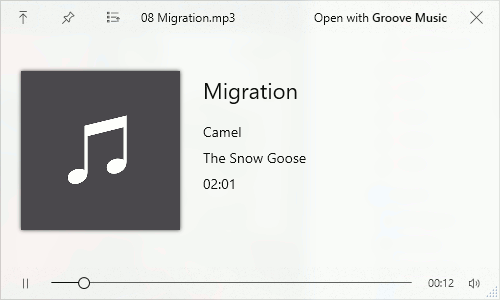 Audio files show metadata too, so try selecting a music track on the PC’s disk and see the album artist, bitrate, track length, album and so on. The details panel is very useful for checking music files. A very useful feature of Finder on the Apple Mac is Quick Look. When browsing files on the disk, tapping the spacebar displays the file contents in a pop-up window. It shows images, documents, PDF files, text files and more. 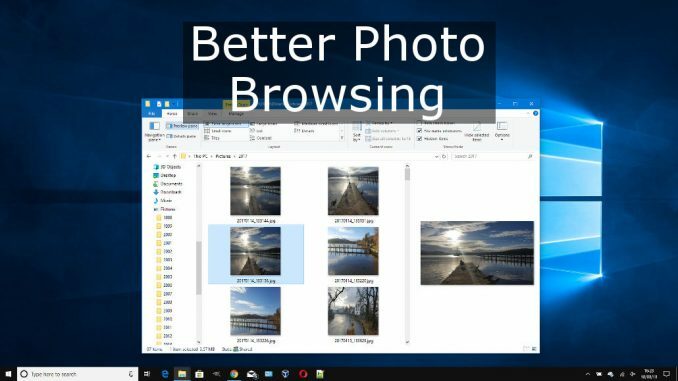 QuickLook (all one word instead of the Mac’s two) is a free app in the Windows Store that adds this feature to Windows 10. Open the Store app and search for ‘quicklook’. Download it and it adds a tile to the Start menu. Click the tile to run it. Nothing appears on the screen but a small icon appears at the right side of the taskbar to show it is running. Select a photo or other image in an Explorer window and press the spacebar to open a preview window. 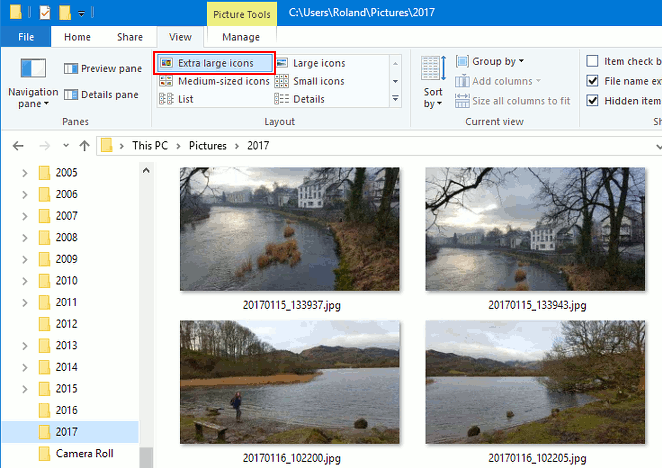 It can be resized by dragging the edges and as you select files in Explorer, the QuickLook window updates to show the contents of the currently selected file. It works in a very similar way to the Mac’s Quick Look feature. The first icon in the toolbar makes the window stay on top of all other windows so it does not get buried beneath them. The second icon prevents the window from changing when other files are selected and it pins the current item. The third icon shows the Open With menu which allows you to select an application to open the file with. The default application is shown at the right side of the toolbar at the top and clicking it opens the image in it. There is a small i in the top right corner and clicking it displays an information panel showing the image metadata. This is a useful feature when you want to check on the camera settings used to take a photo. QuickLook is not just for viewing photos and it is a general purpose file preview utility. For example, if a PDF file is selected in an Explorer window and the spacebar is pressed, QuickLook opens a window to show the contents. There is a useful a panel on the left showing thumbnails of the pages and it can be used to jump to any page. The window can be resized to shrink or grow the view to make the text easier to read. Select a video file in an Explorer window and press the spacebar to play it in QuickLook’s pop-up window. This is a handy way to check the contents of video files without having to load them into a video editor to view them. QuickLook displays a very simple audio player when a music file is selected and the spacebar is pressed. If you have music tracks on the disk with obscure names that do not mean anything, you can tap space and listen to them and see what they are without having to load them into a full music player app. I don’t know exactly how many file types QuickLook can display and the Store page only says ‘Tons of supported file types’. 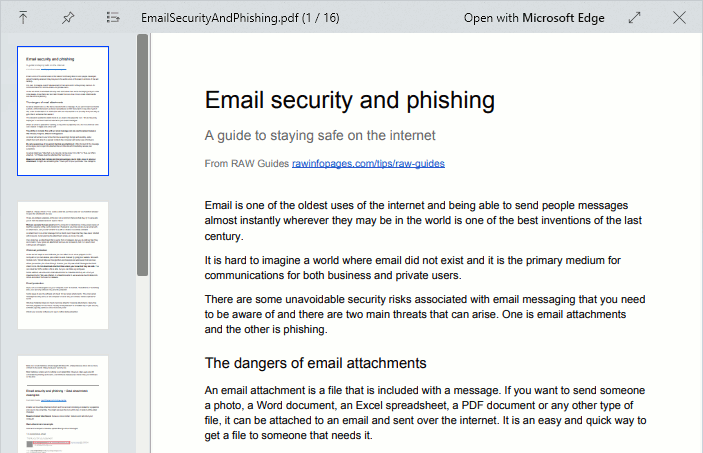 It has built in viewers but it can also use external ones, so if you have Microsoft Office installed on the computer, it can preview Office documents.